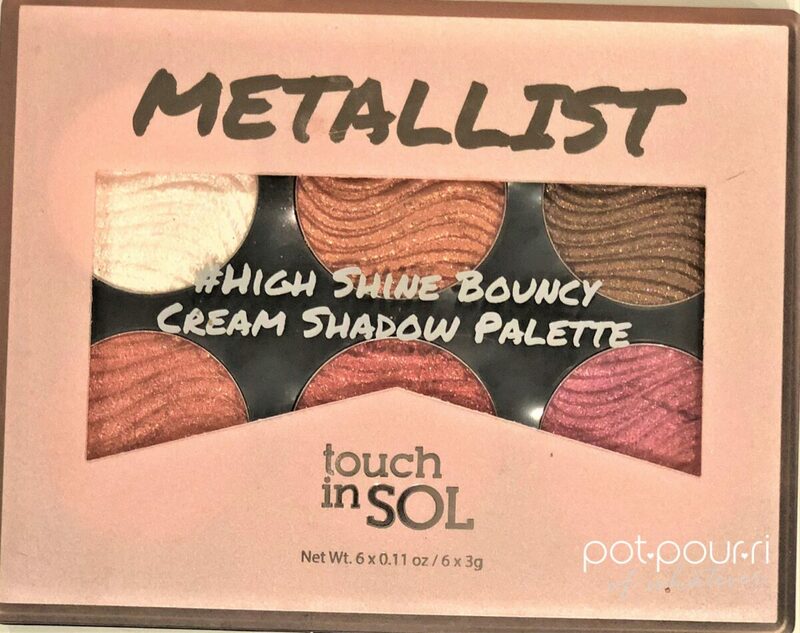 The plastic compact is pink matte metallic. Also,on the front center, is a see-through window. 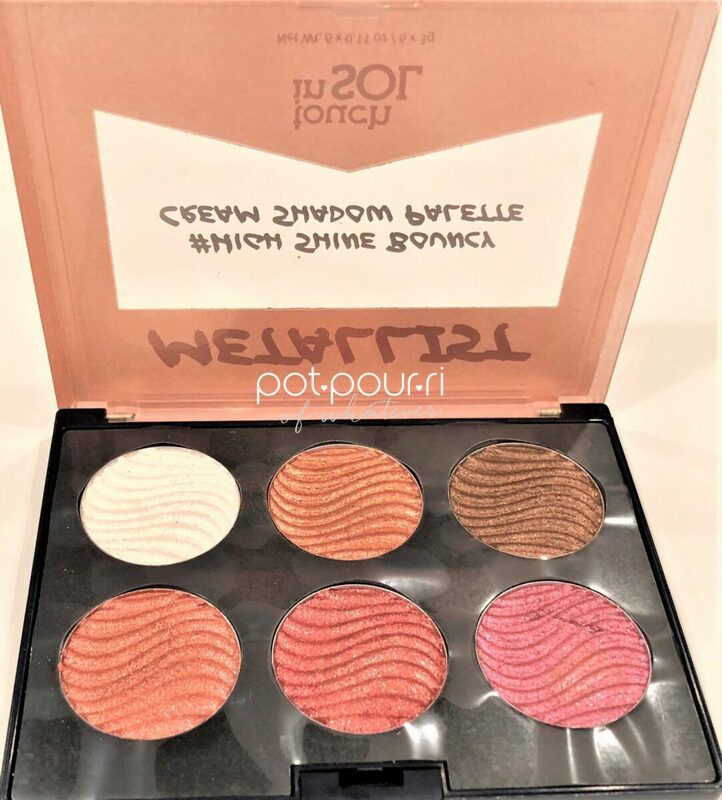 Looking inside of the window, the palette shows six sunny, round eye shadows. And, the pans of eye shadow in the palette have a black background. 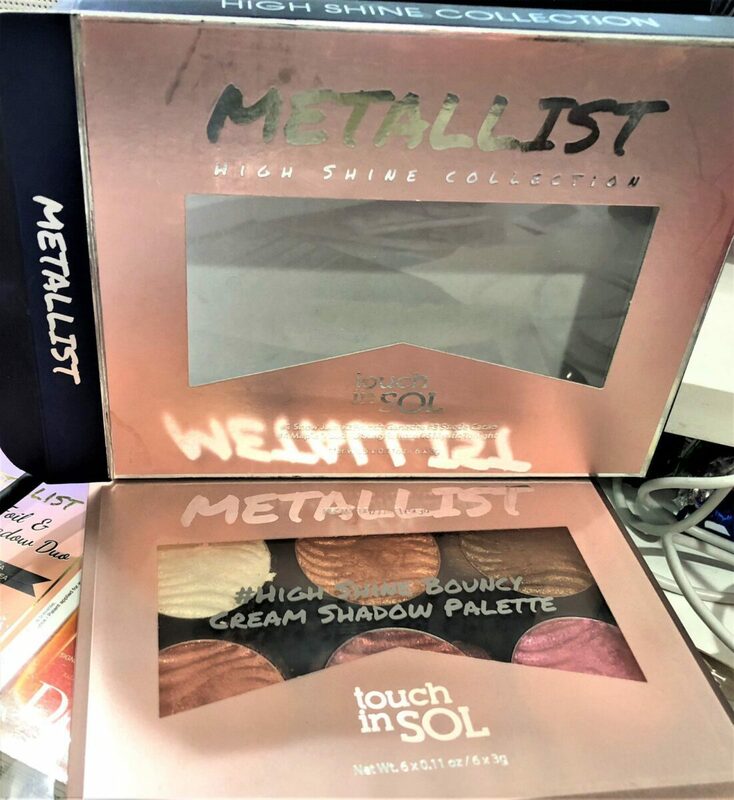 Last, the word, Metallist is mirrored. 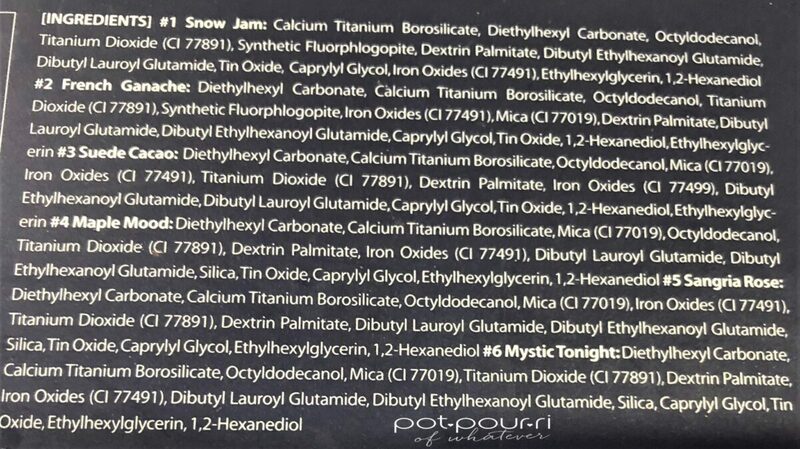 In addition, the rest of the wording is silver. The gel-cream formula applies like a gel, and dries like a powder. The texture of the shadows is unique. First, they have a springy bounce, As a result, it reminds me of the spring and bounce of jello Gelatin. Second, the pigmented colors are brilliant and beautiful. Furthermore, the shadows feel very creamy. Hence, they go on really smoothly. Also, there is no fallout from the application. Moreover, the shadows seem to last a long time. Finally, the unique formula melts into the skin. 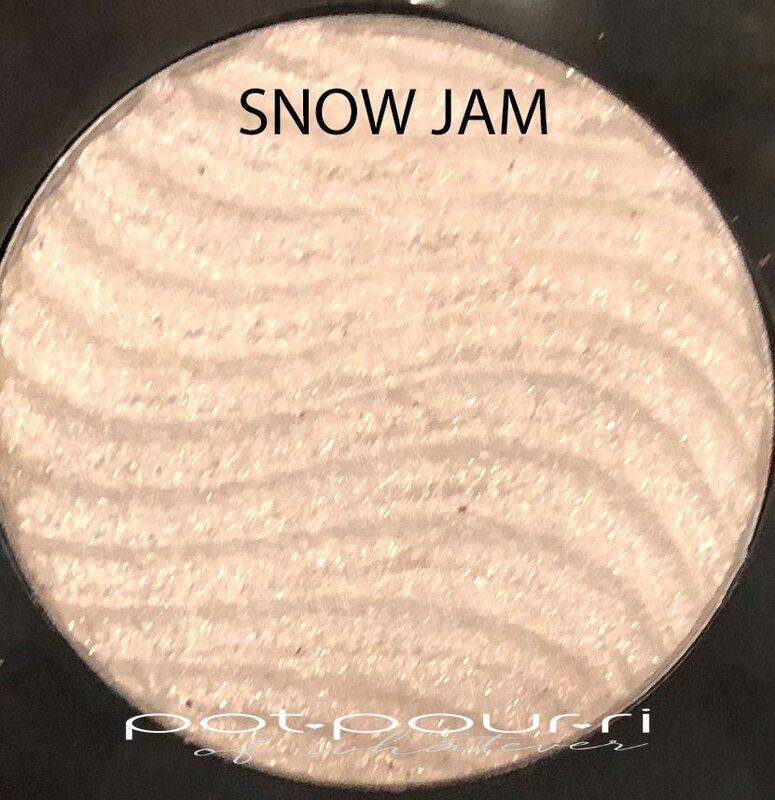 Snow Jam – is a creamy white metallic. 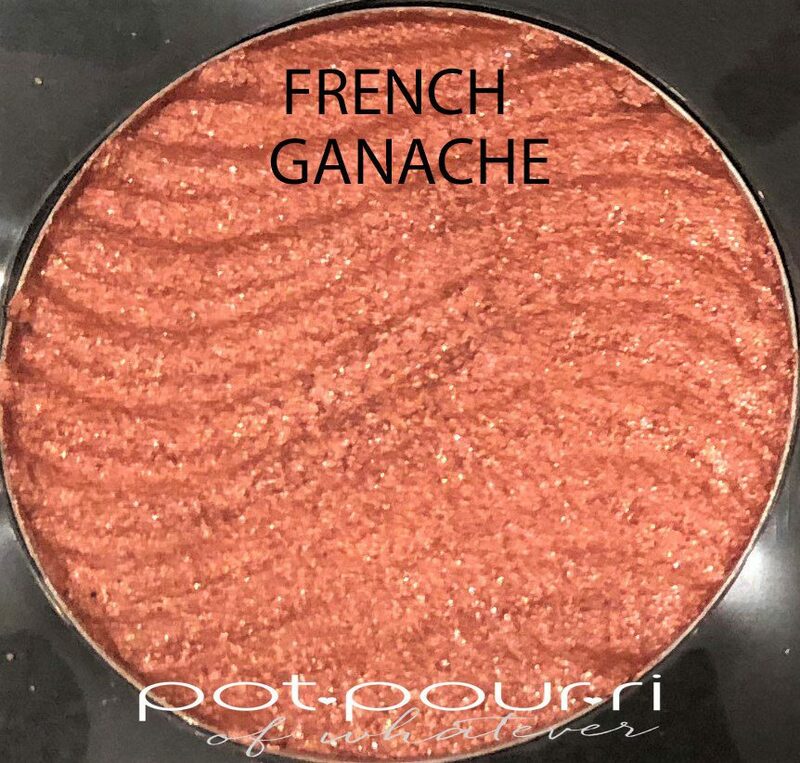 French Ganache – is an orange beige metallic shade. 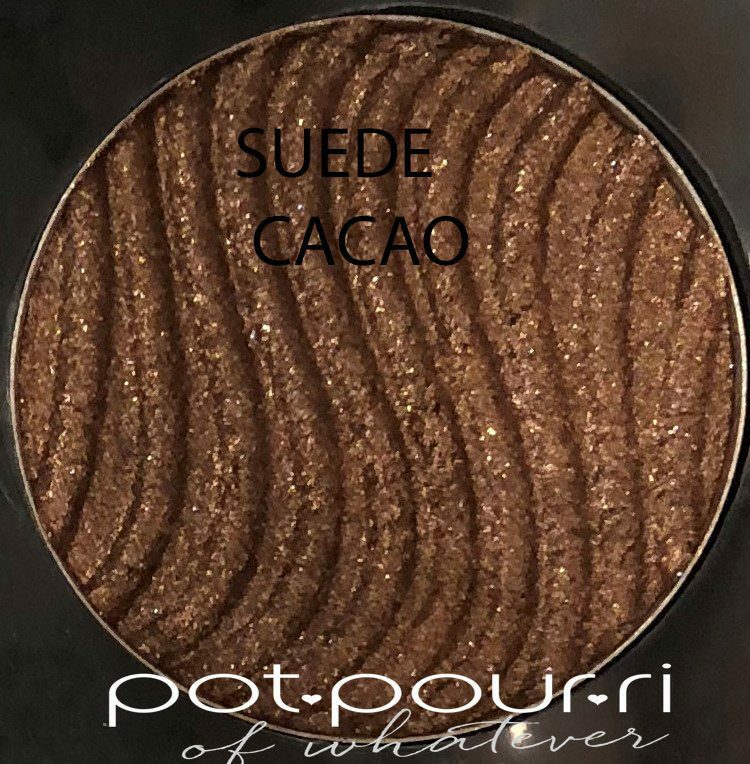 Suede Cacao – is a dark brown metallic. 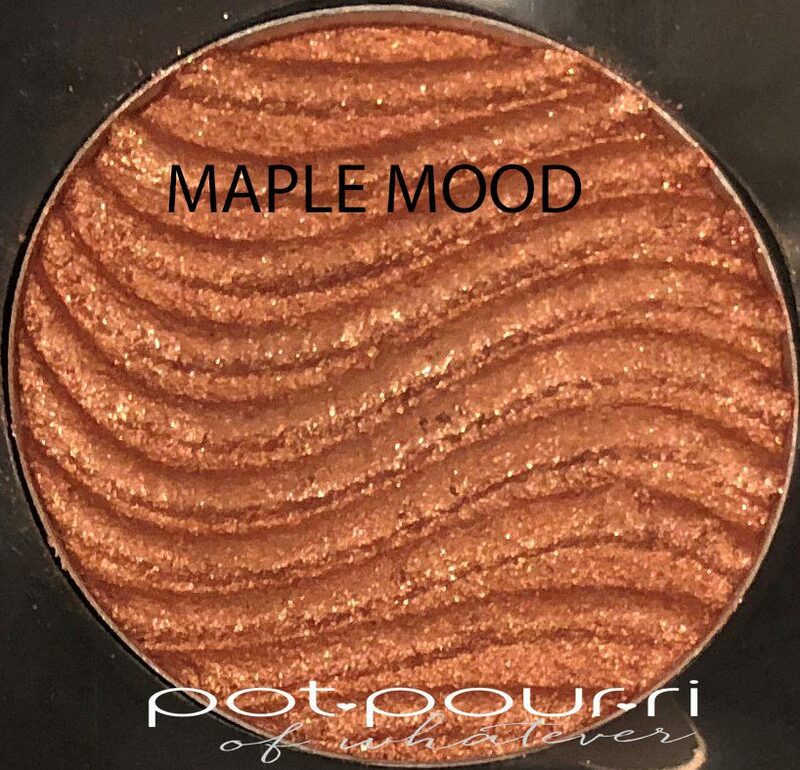 Maple Mood – is a coral beige metallic. 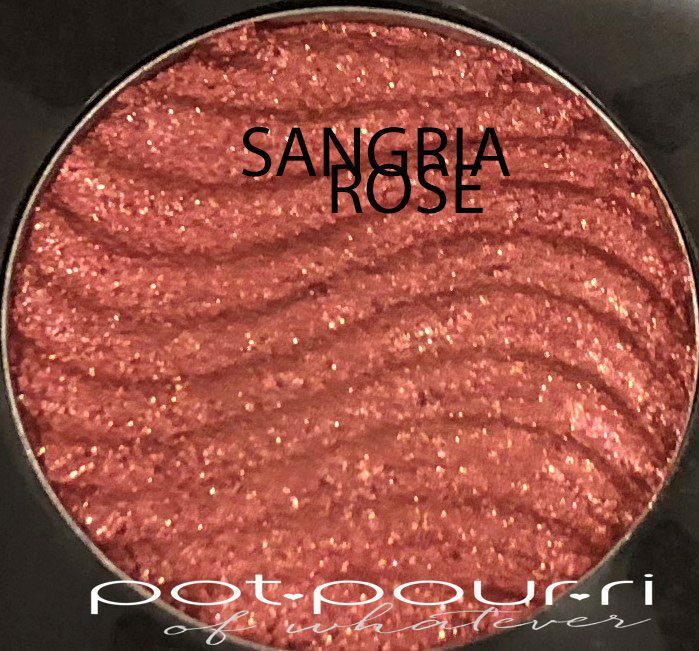 Sangria Rose – is a crimson burgundy metallic. 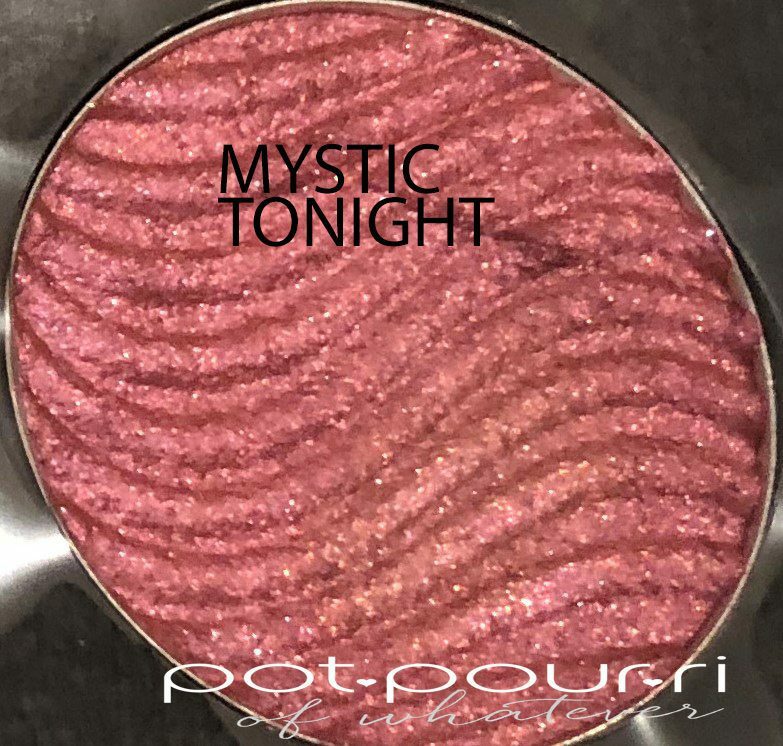 Mystic Tonight – is a fuchsia purple metallic. Most important, for the best application, use your fingers. Also, for more color intensity, apply thin layers of shadow. Also important, the shadows are not as vibrant as they appear in the pans. 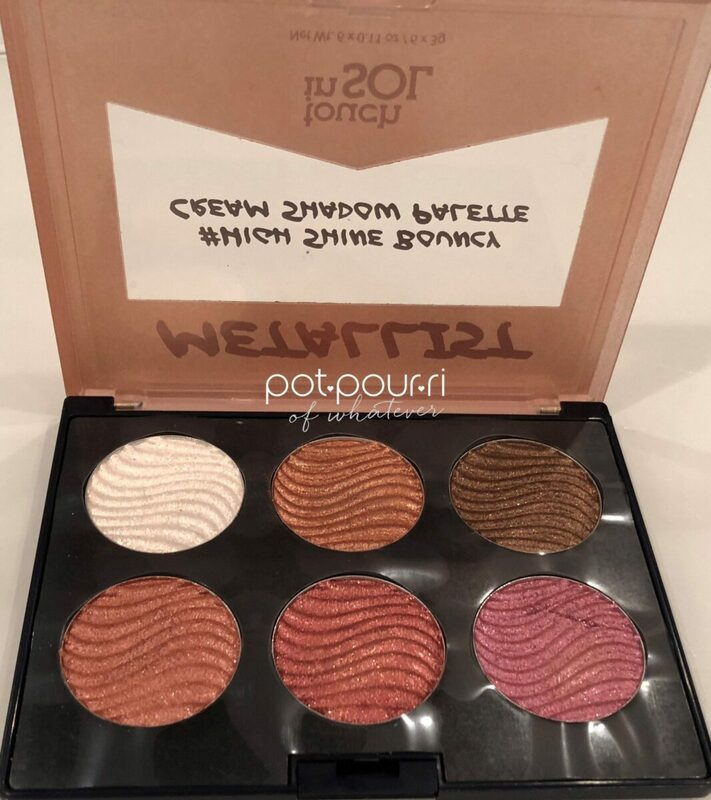 In addition, because the colors are very shiny, they give you a “wet eye look.” So, if you are in to the “wet eye look” this is a great palette. These shadows are glittery and sparkly. However, they are not over the top. Therefore, they are good shadows for daytime looks. 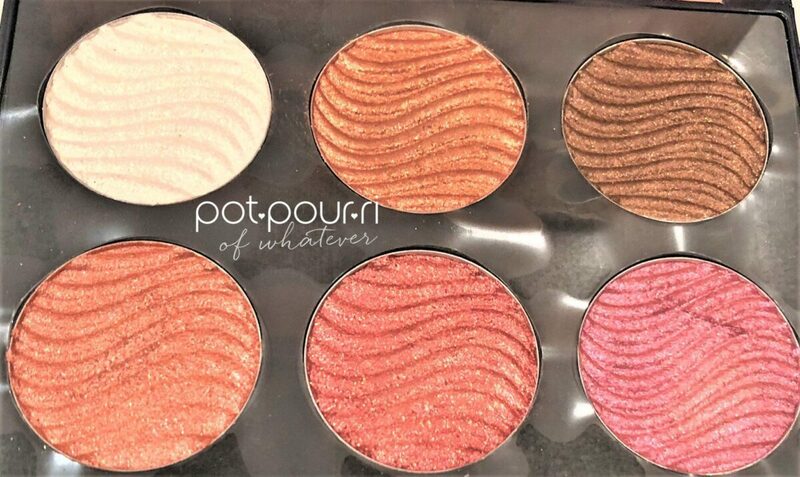 Finally, this is a great palette for washes of color on the lids. However, for full-blown color, or complex looks that involve 2 or more colors, these shadows will not do the trick. Are you interesting in a wet eye look? Or would you rather have a full wash of color? 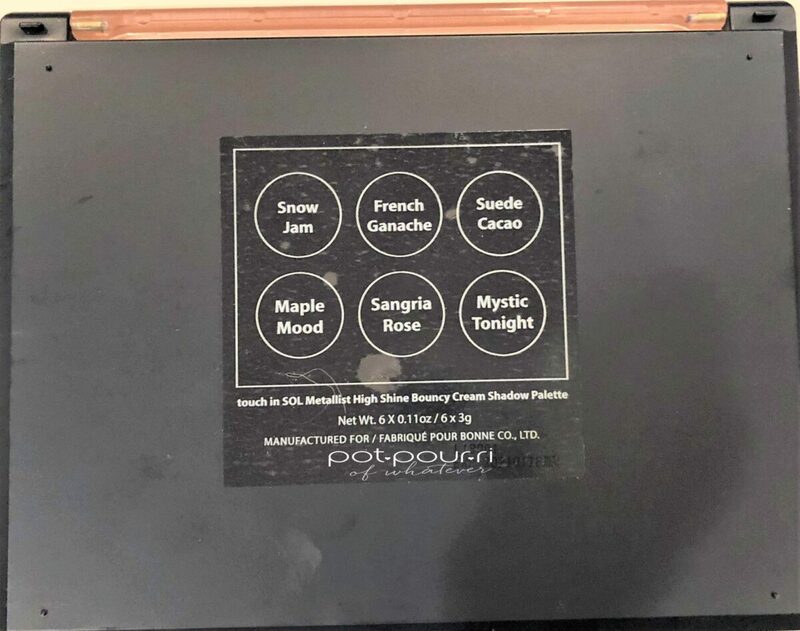 This palette is your answer to those looks. For more dramatic looks, try Pat McGrath Mothership Eye shadows, or Natasha Denona palettes. 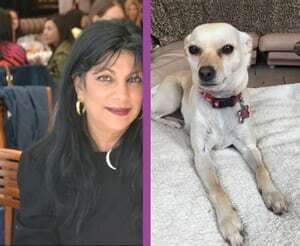 Let me know what your thinking in the comments below!